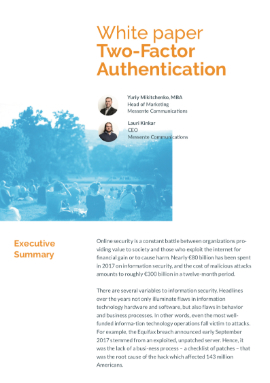 As 81% of hacking-related breaches stem for weak or compromised passwords and the cost of two-factor authentication is a small proportion of the potential cost of a breach, the argument for 2FA for all users is strong. We have sent the whitepaper to your e-mail, enjoy! We are also vigorous bloggers, here are our latest blog posts.